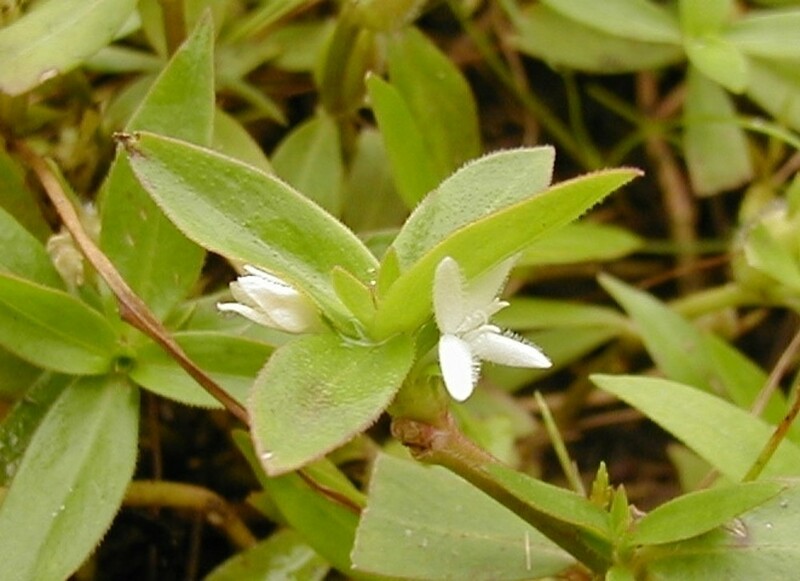 Virginia buttonweed is native to the eastern U.S., reaching the northern edge of its range just south of New England. 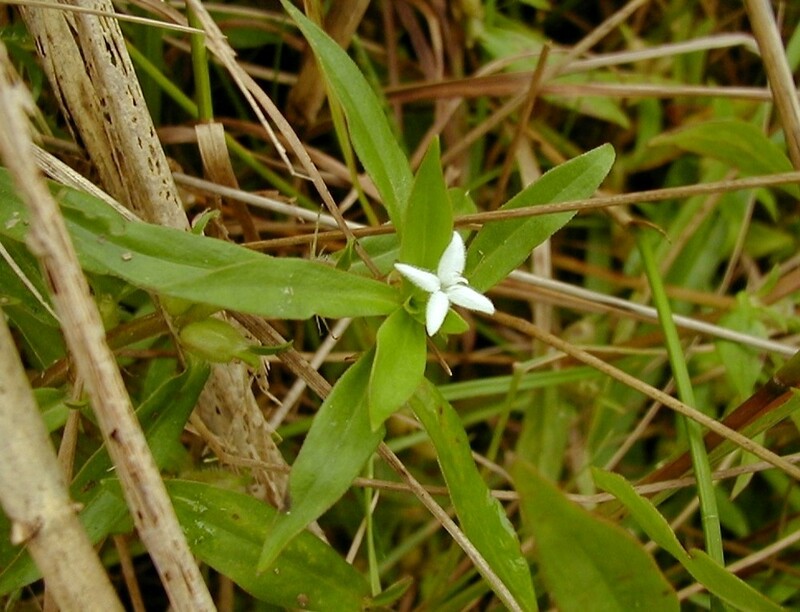 It is a spreading, prostrate perennial that can show up as a weed in lawns and other disturbed areas of the south. 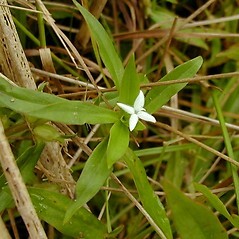 However, it is listed as rare farther north in New Jersey and Indiana. 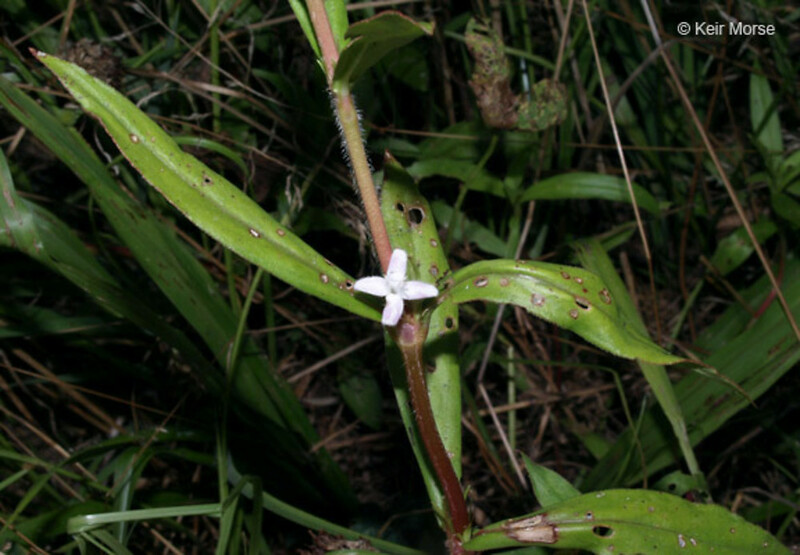 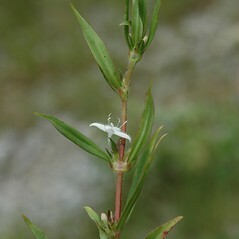 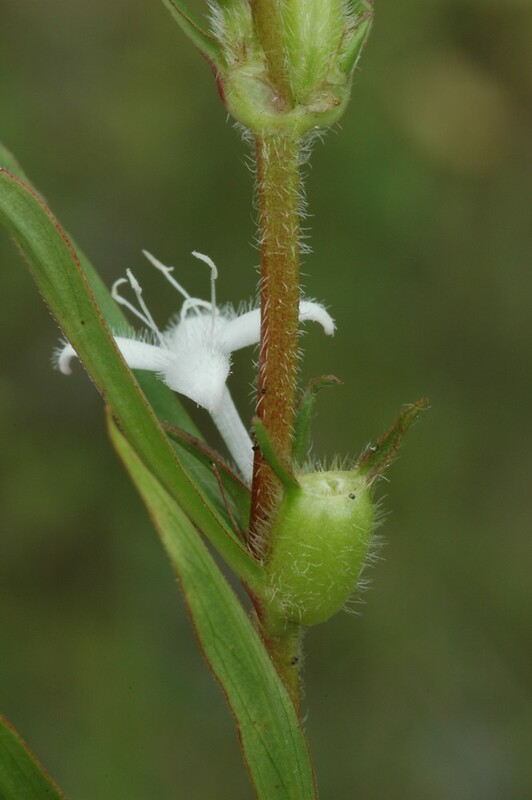 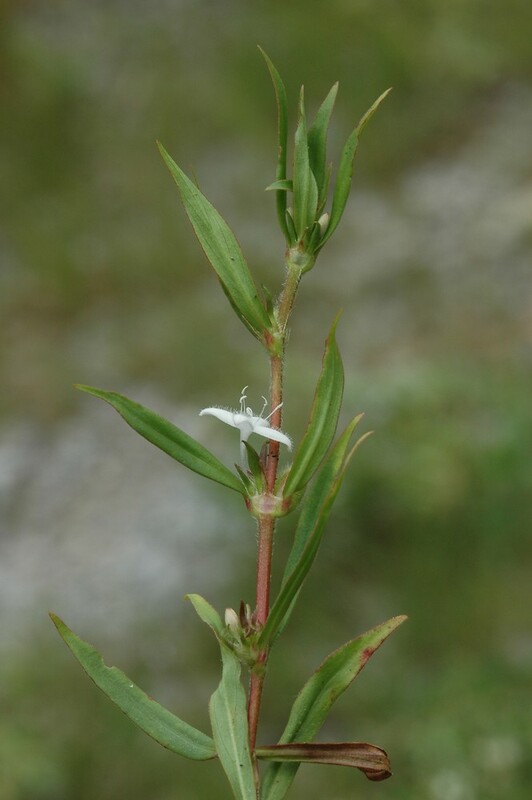 Look for its distinctive, four-parted white flowers borne in the leaf axils along floppy, squarish stems. 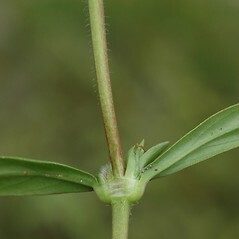 The opposite leaves are joined across the stem by a hairy tissue, and they sometimes are mottled yellow due to a virus. 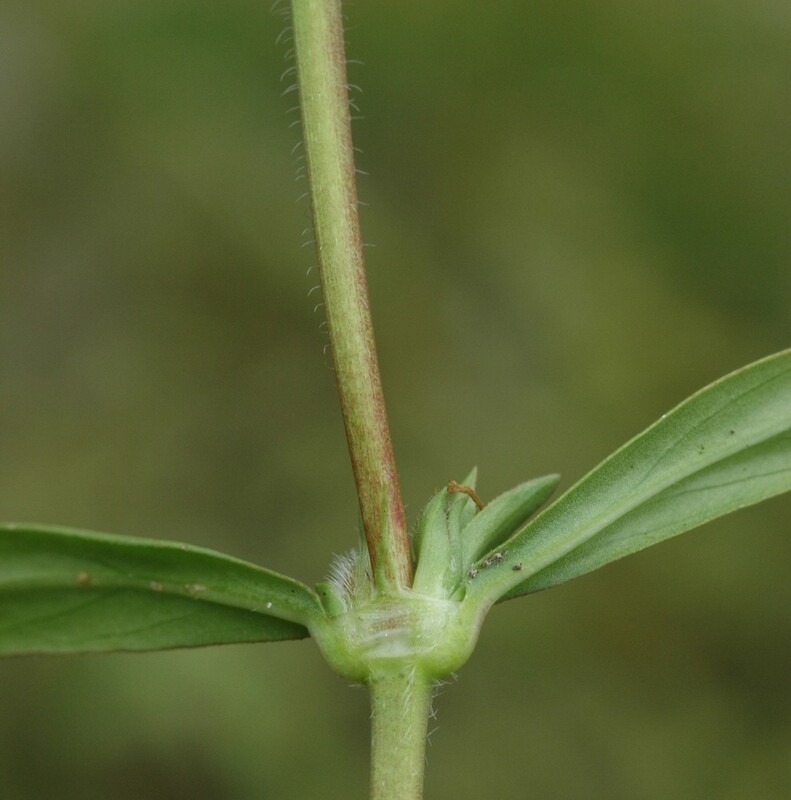 It has thick roots by which it can spread vegetatively. 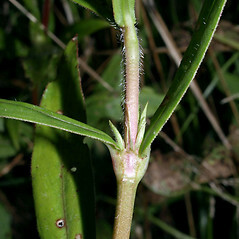 It resembles Diodia teres, but the latter is much more upright-growing, much hairier, and has narrower leaves. 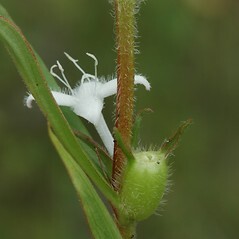 calyx with 4 sepals and corolla funnelform, 5-6 mm long (vs. D. virginiana, with calyx with 2 sepals and corolla salverform, 8-11 mm long). 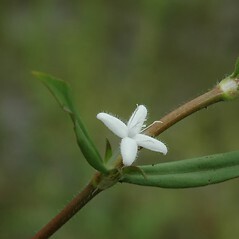 Our variety is Diodia virginiana L. var. 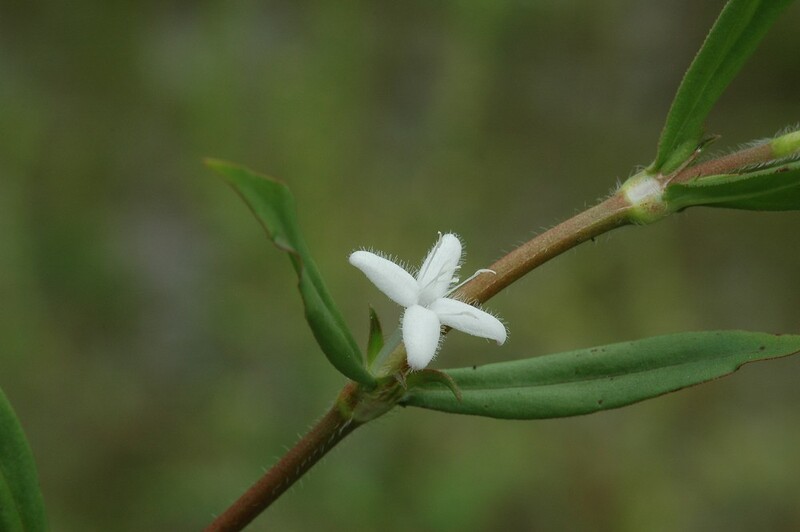 virginiana. 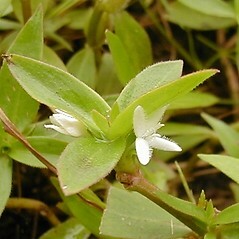 Virginia buttonweed. 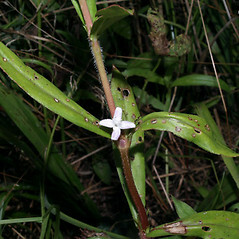 Diodia hirsuta Pursh; D. tetragona Walt. 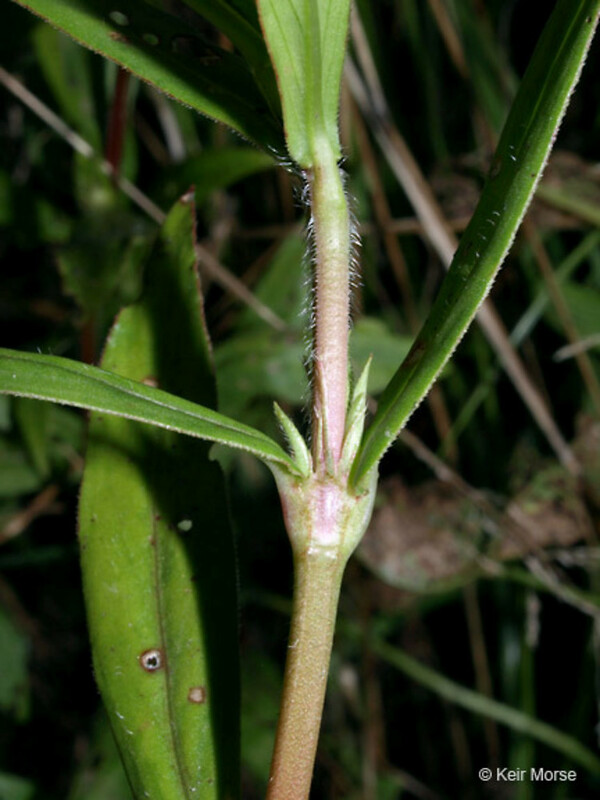 • CT. Gardens, waste areas.